First impressions count in all aspects of life and this idea is especially crucial when it comes to impressing potential house buyers in your home. The goal for all home sellers is to sell their home as quickly as possible for the desired price. To help achieve these two things the presentation of your home plays a critical role. Decorating your home to sell is very different from decorating a house to live in as you like which can be tricky to fully grasp at times. As such we have put together some tips to help you present your home for sale as quickly and at as high a price as possible. This is one of the quickest and easiest things you can do to make a home desirable. By removing your personal items that made the house a home for you, it will make it easier for potential buyers to visualise their own possessions in it. Photos, quirky furniture or art, and toys make your home interesting and unique but may make it harder for buyers to imagine their own lives in your house. Feel free to consider leaving certain items that brighten up a dull space but try and create as neutral a house as possible at show time. The materials and finish in your home will have a significant influence on the selling price so it goes without saying that a well-worn, patchy carpet does your home a disservice. Carpets are usually a cheaper option than tiles or hardwood and help cover imperfections on the floor as well. Carpets can help make the floor level if it is not and make the walls appear straighter. There are a wide range of colours and types but try to not scrimp on price as a new carpet can help make the whole house look new. 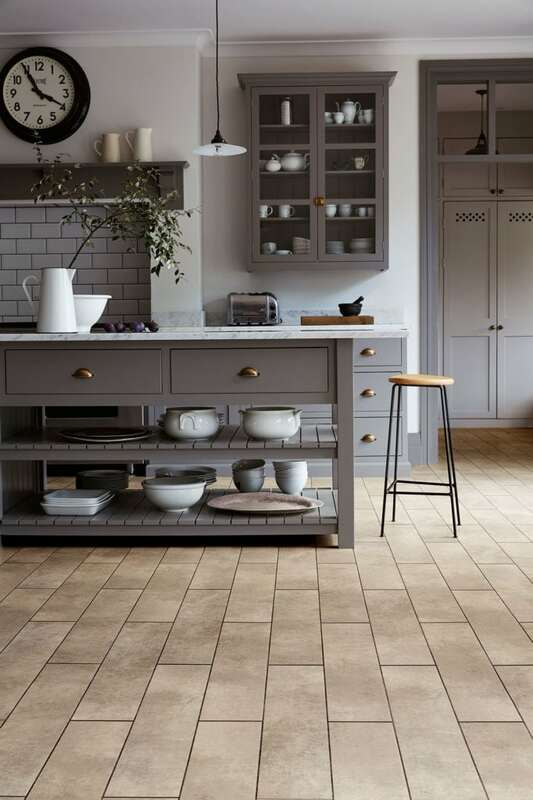 Brands such as Amtico offer an excellent range for those looking to carpet their home. Lighting is another fast and easy way of improving the look and feel of a room, as well as helping make a space feel larger. Updating lighting, adding spotlights, or chandeliers, can modernize a room and have a positive effect on the selling price. All parts of the house can benefit from improved lighting and not just the key selling rooms. Hallways, entries, dark corners, can be transformed into office space, or reading areas for example. Outdoor areas can also benefit from improved lighting by highlighting key features in the garden or creating a more welcoming entertainment space. A fantastic kitchen is one of the few rooms that can really capture the heart and imagination of a potential home buyer. A lovely kitchen can be the heart of the home and bring everything together. One thing you can do to ensure that your kitchen is fabulous is by making sure that the floor has a strong visual impact on viewers. As mentioned before lighting plays an important role, as do modern high-quality appliances that really wow viewers. People spend a lot of time in their kitchens so make sure it looks like an inviting space to entertain. Island units, seating areas with stools can all help make your kitchen an enticing and comfortable place to entertain family and guests. This step will also help prepare you for the moving stage. All of your best decorating can be undone if it is hidden by mess and clutter. The best way is to either invest in some nice storage options or even better, get rid of it altogether. Either store it elsewhere, sell it or throw it away. A nice tidy, open house feels cleaner and bigger than a cluttered house and will do a much better job of attracting a buyer.